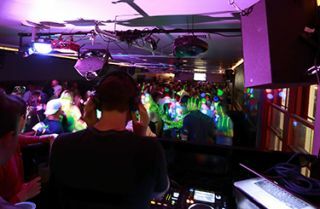 As a popular dance club near the campus of the University of Virginia, Trinity Irish Pub garnered a great amount of attention when word spread of its upgraded sound reinforcement system, featuring HARMAN’s JBL loudspeakers and Crown amplifiers. Systems integrator Crutchfield Corporation of Charlottesville, VA, designed and installed the unique system. Two design goals were set for the new system at the Trinity Irish Pub. First, the loudspeakers needed to produce twice the amount of output power than the old system while attaining proper coverage in the room. In addition, the entire system needed to be bulletproof and able to withstand any amount of power surges as well as physical abuse. The team decided on four JBL PRX412M portable loudspeakers and one PRX418S subwoofer, powered by one Crown XTi4002 and one XTi2002 amplifier, with additional management from a dbx DriveRack PA+ system. Dallas Simon, an AV design specialist for Crutchfield, was one of the engineers on-site who assessed the installation. The team was forced to adjust for anasymmetrical layout, so in order to eliminate dead spots on the dance floor a conventional rectangular pattern in loudspeaker alignment could not be used. With proper tweeter alignment to the dance floor Simon inverted the loudspeakers so the horns were on the bottom, which produced the perfect angle. Now that the mission is accomplished, The Trinity Irish Pub has become an even more popular destination for the college crowd, having to often turn people away at the door. Each night the PRX loudspeakers rock the entire venue, and the systemwill last for years to come.